The goods were loaded in four dump trucks of the provincial government. 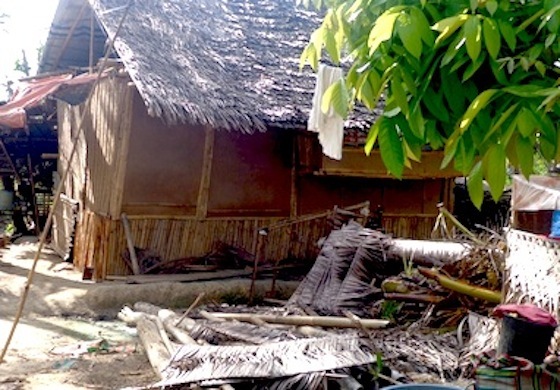 The cost of shipping was assumed by the office of Senator Franklin Drilon. The shipment was received on December 1, 2013 by Victor Lo, president of the Iloilo Lodge of the Theosophical Society. He accompanied the cargo to the town of Carles. 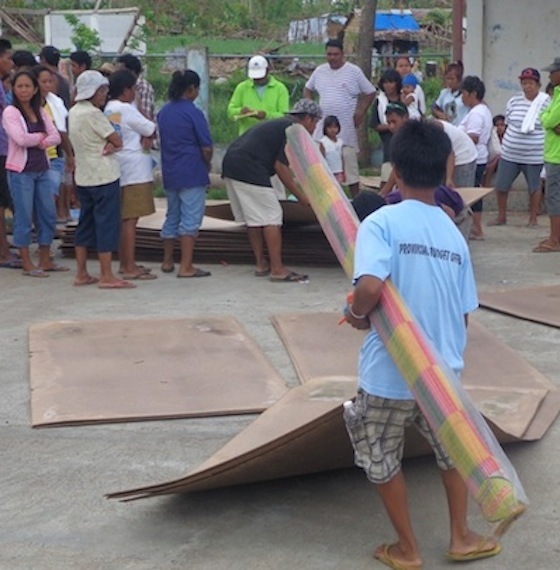 The distribution of the goods was organized in Carles by the President of the Association of Barangay Chairmen of the Carles, Mr. Jose Miane. 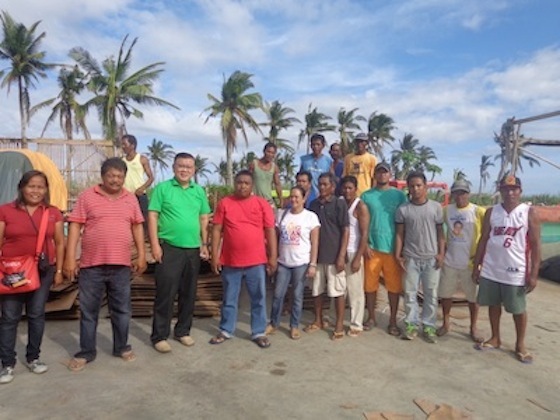 The gathering, loading, and shipment of the goods were arranged by Tessie Hao Chin, in coordination with Dr. Josephine Bundoc and Edgar Bellosillos. 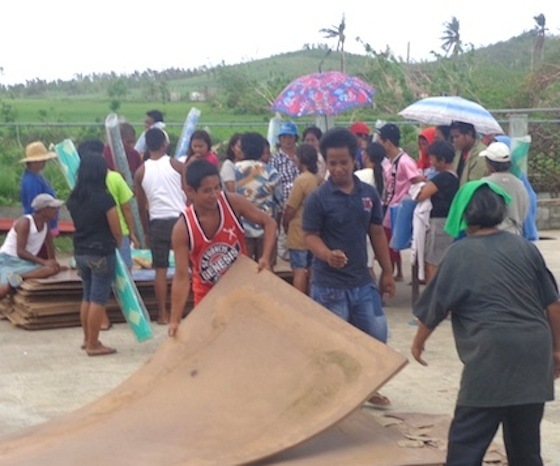 The donated goods consisted of Lawanit fiberboard, handsaw, nails, hammer, mats, tarpaulin, nylon ropes and other relief goods. 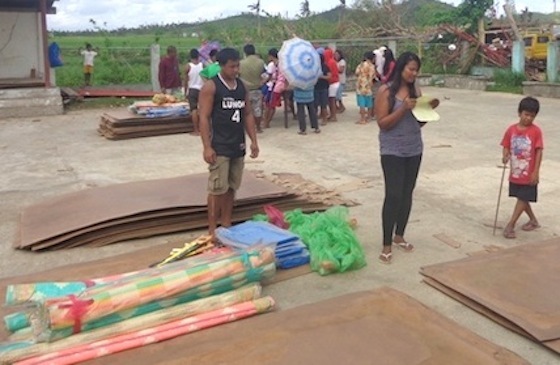 The Lawanit fiberboards were donated by New South Star Manufacturing. 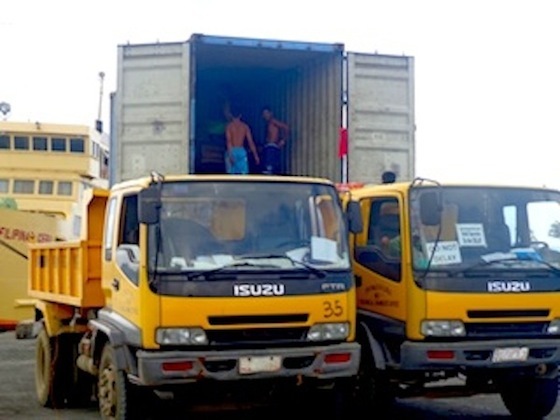 The construction materials being transferred from the container van to four trucks of the Iloilo provincial government. 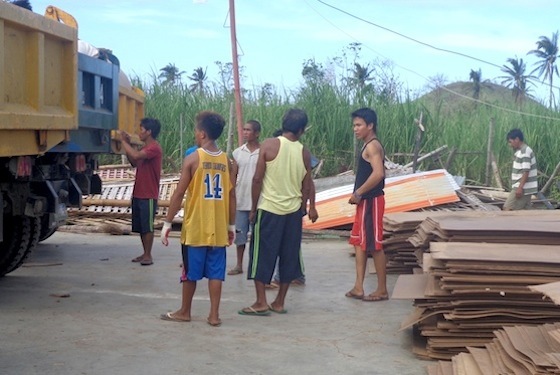 Goods unloaded in Carles, Iloilo province. 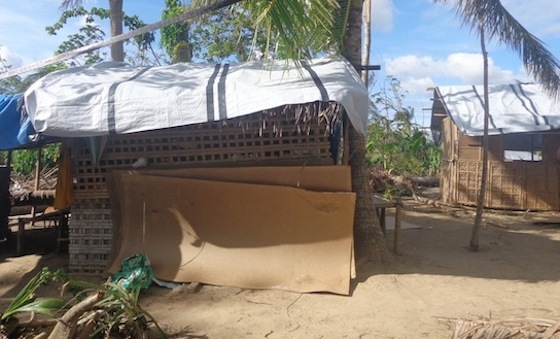 One of the victims of the typhoon in Carles who received relief goods. Group of volunteers who assisted in the unloading and distribution of the donated goods. The third person from the left (in green t-shirt) is Victor Lo, president of the Iloilo Lodge of the Theosophical Society in the Philippines. 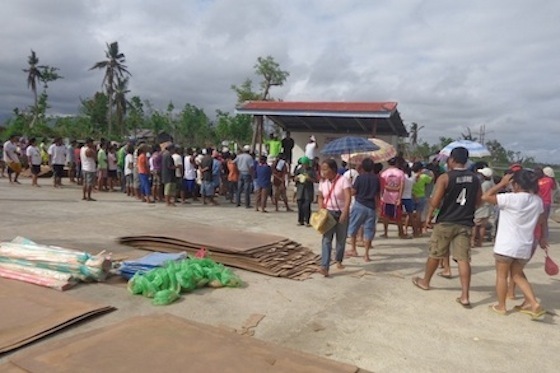 Above: Mr. Jose Miane, the President of the Association of Barangay Chairmen of Carles supervised the orderly distribution of goods to those who were affected. 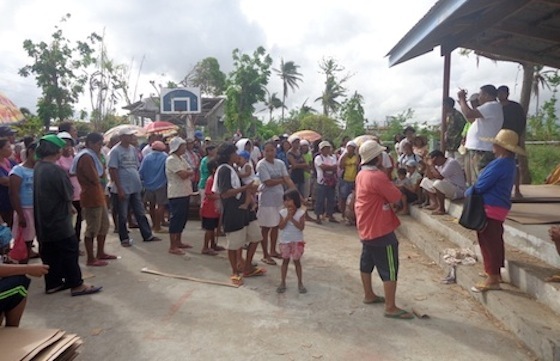 Below: The following are more pictures during the distribution of goods. 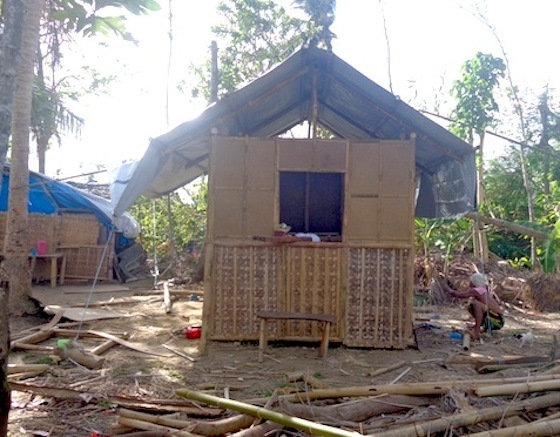 Below are pictures of several houses which have been repaired using the fiberboard, tarpaulin and other construction materials distributed to the various families. 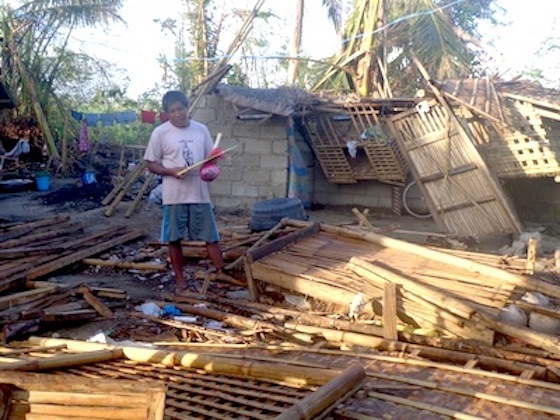 To all those who donated and helped in gathering and distribution of the relief goods, we would like to express our sincere gratitude for your concern and action to help victims of super typhoon Haiyan (Yolanda). We like to particularly express our deep thanks to foreign donors who spontaneously sent funds through the Theosophical Order of Service Philippines.